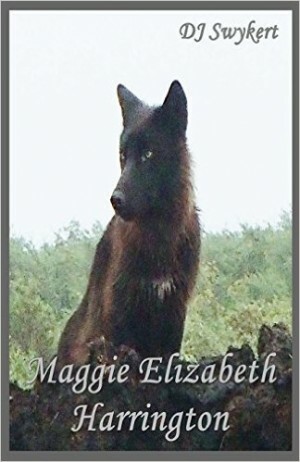 Maggie Elizabeth Harrington is the story of a young woman in a remote 1890’s northern Michigan mining town trying to save a pack of young wolves from a bounty hunter. A terse historical love story of a young woman’s struggle with environmental and moral issues concerning the slaughter of wolves, and the churches condemnation of her love for a young man, are as real in today’s global world as they were for young Maggie over a century ago. Ok now this DJ Swykert novel was better to me. Though I didn't love this book either I definitely liked it better than the last one I read. Though I don't care for books that are set way into the past like this, I found this book easy to get into. I though Maggie was a great character and really seemed like a thirteen year old girl should be. If you like coming of age stories then you will definitely like this. The author did a great job putting me into a thirteen year old girls head. Maggie thought and did things that I think suited her age, with the exception of a couple of things. The "love" with Tommie was what bothered me the most but I think that is because of their ages - she was 13 and he was 15 or 16. I think she was way too young to be in that situation. I also didn't like the repetitiveness of some sentences. I understand she is thirteen and is supposed to be annoying but that made it hard for me to read it. I liked the tough things that Maggie had to face, a lot of authors don't like writing about things like that but Swykert did a good job. I liked the concept of the wolves, I love animals so I love when they are included in stories. All in all I liked this book and am glad I got the chance to read it. Swykert is a talented author and I look forward to reading more of his works.